The Lorraine H. Morton Civic Center, 2100 Ridge Ave. Residents signed a petition to support full funding for the city’s Youth and Young Adult division, which faces potential budget cuts. About 1,100 residents have signed a petition to support full funding for the Youth and Young Adult division as the program faces cuts during the city’s priority-based budgeting process, the division’s community services manager Kevin Brown said. On May 10, the city released a survey asking residents to rank their top 10 and bottom 10 budgeting priorities out of a list of 46 items. The Youth and Young Adult division, which provides violence interruption and substance abuse treatment placement, was listed as costing around $940,000. The Mayor’s Summer Youth Employment Program, which Brown said employs 600 to 700 young adults each year, costs around $600,000. 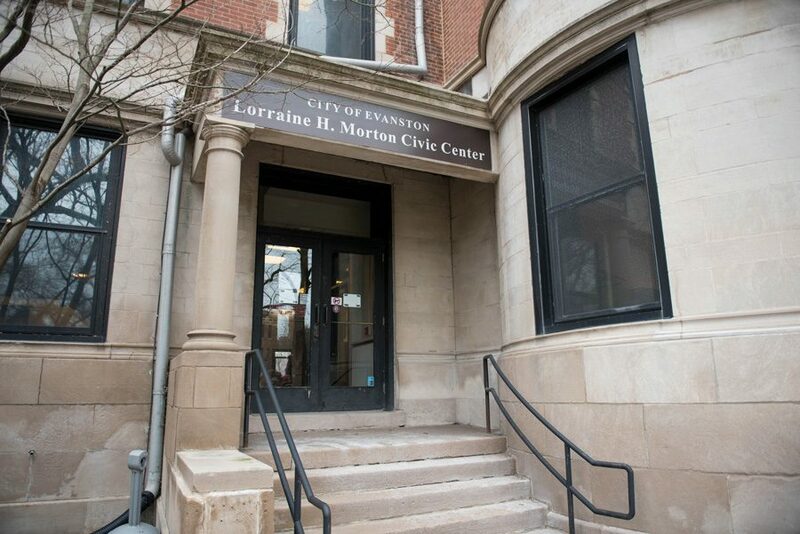 According to city documents, the division — created in 2011 — aims to provide opportunities for all Evanston youth and young adults to become “active and productive” citizens by strengthening existing services, establishing partnerships and providing job training and placement. Its operational plan focuses on four areas: education, civic engagement, workforce development and alternative recreation. Nina Kavin, co-founder of Dear Evanston — a community forum discussing race and inequity in the city — said the division’s outreach workers are “invaluable” to Evanston’s youth and families. She said much of their work goes unnoticed to residents as they stop violence from occurring and provide resources to families. Evanston resident Lesley Williams said the way the city has asked residents to vote on programs through the survey is particularly “upsetting.” The survey shows which programs are popular but not necessarily which ones are “crucial” for residents’ everyday lives, she said. Williams added that cutting the Youth and Young Adult division would be harmful to the youth served by the program. She said the city needs to look at budgeting with an “equity lens” to see who will be most impacted and hurt by the decisions. Correction: A previous version of this story misquoted Nina Kavin. She said the Youth and Young Adult division is an enormous factor in helping to keep the peace in Evanston. The Daily regrets the error.